Hello everyone! Thanks to so many of you, I recently passed 8 thousand subscribers on YouTube! Wow. It is so amazing to see my channel grow in such a short time… all thanks to each of you that follow my work. I cannot tell you how much I appreciate that! 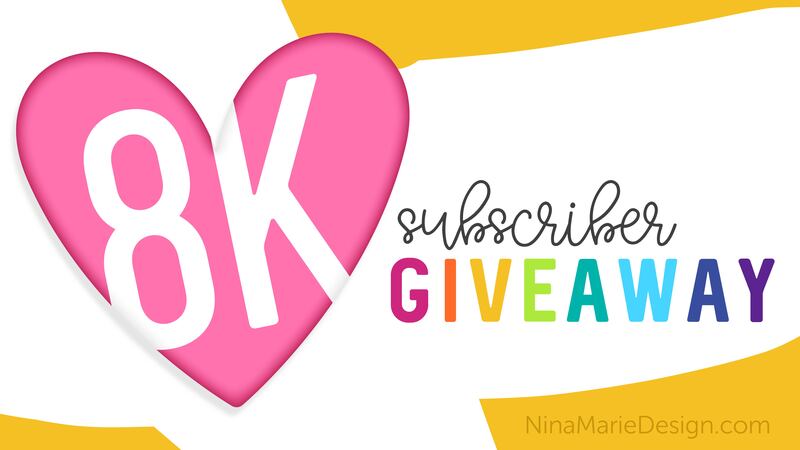 As a special thank you to all of you, I am giving away two goodie bags that are each filled with fun products I love! 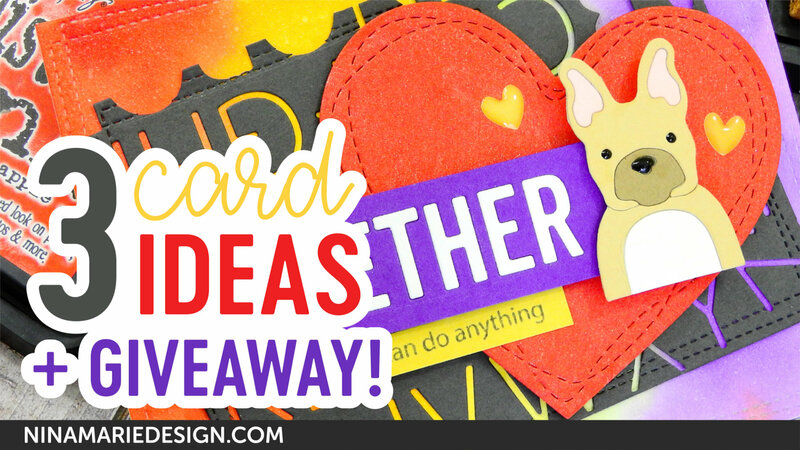 To enter the giveaway, leave a comment here on this post and I will draw the winners Oct. 2nd! Giveaway is open to both US and international. 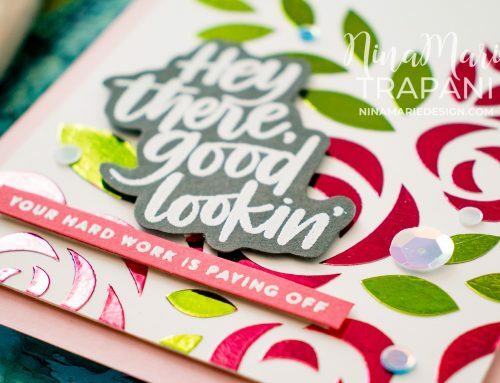 I recently made three cards just for fun… all of them feature some new products that I loved and wanted to use. 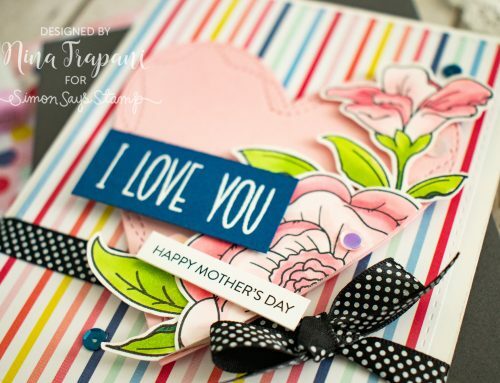 I also tried to incorporate many scraps and leftovers from previous projects. Do you ever have things you create that you don’t end up using on a card? I do all the time! I save all of them and today I challenged myself to make use of some of them! 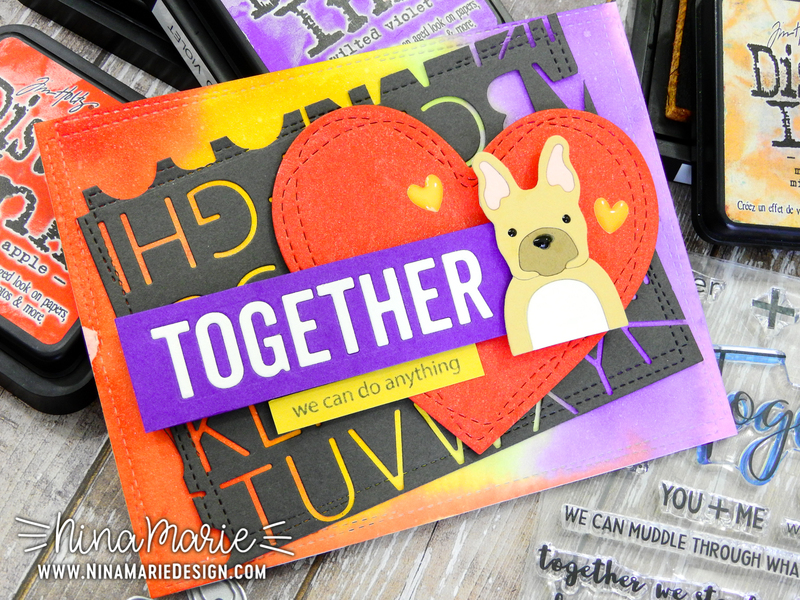 My first card features quite a few of those leftovers and scraps… The background you see behind the pup was done with an ink smooshed Distress Ink technique. I then layered a piece of cardstock over top of that background, which was a leftover die cut negative. A while back I had die cut the Memory Box Urban Uppercase Alphabet set from some dark gray cardstock. After cutting the letters, I had been left with this negative which I thought looked really cool; so I had saved it. I think it fits perfectly with this card. 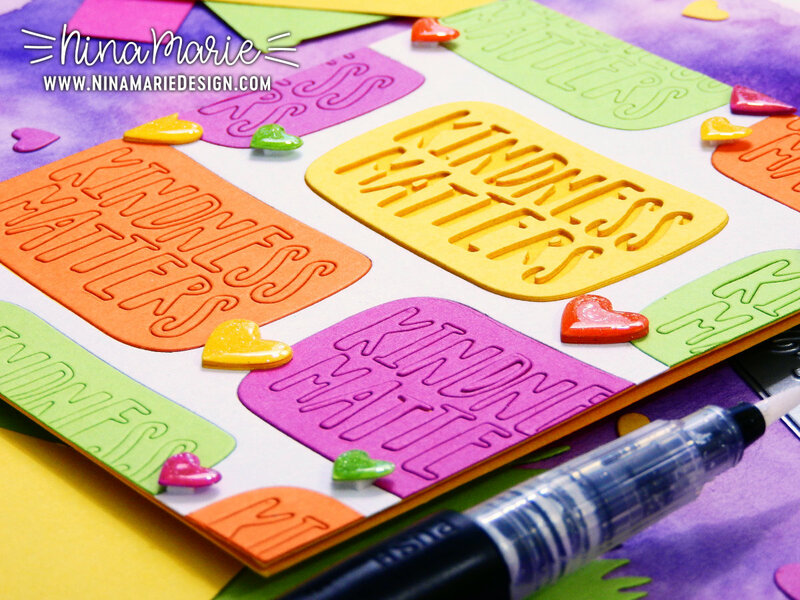 My next card features the recently-released STAMPtember Exclusive set in collaboration with Wplus9 called Humble and Kind. I love it! 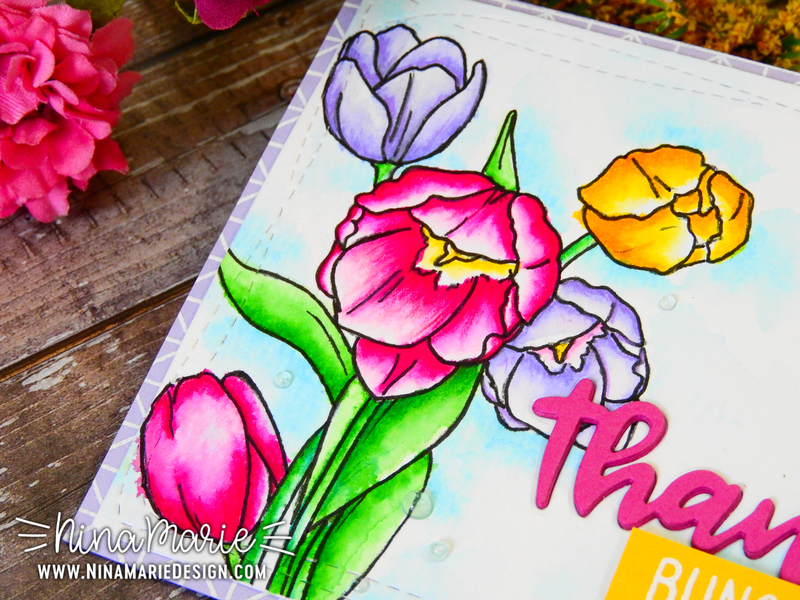 For the flowers, I watercolored these using a few Zig markers on Tim Holtz watercolor paper. 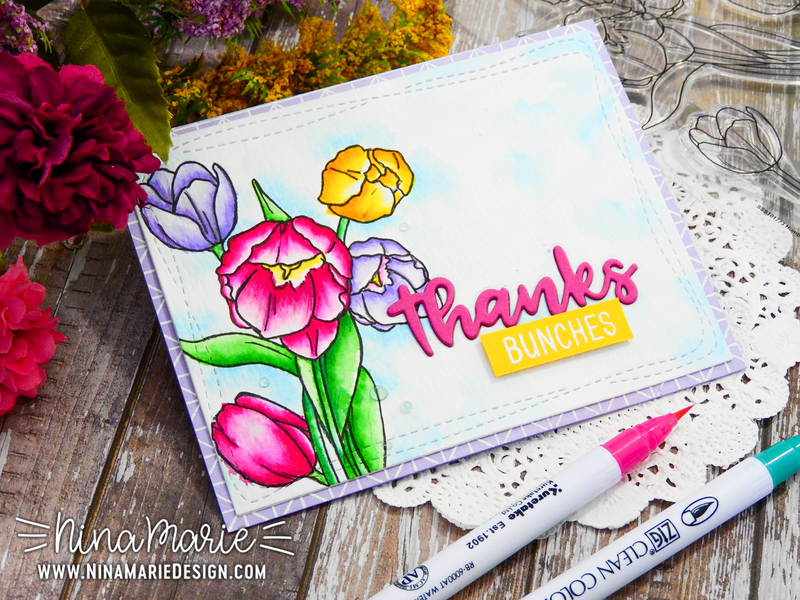 The sentiment was from WPlus9’s Basic Greetings die set and I was again able to break into my scraps to die cut the word “thanks”. 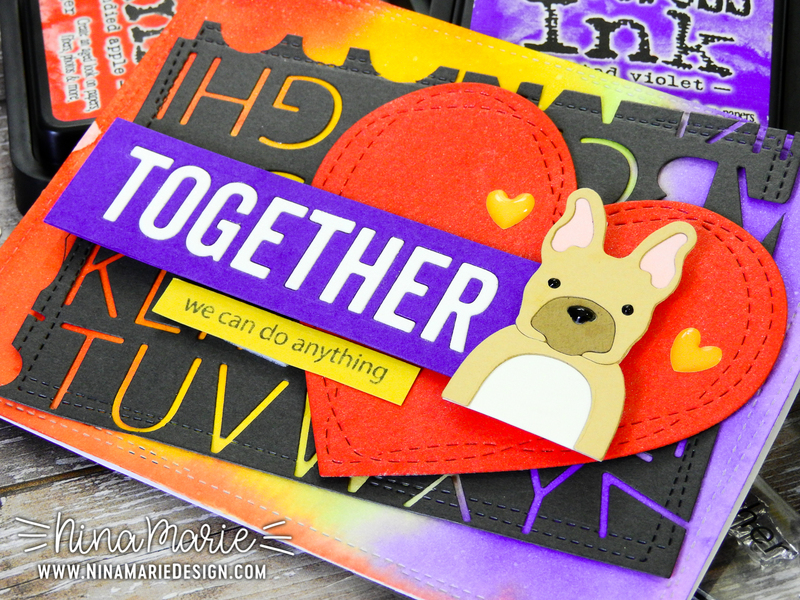 I recently had picked up the super-cute Stretched Sentiments stamp set by the Ink Blot Shop and there is the word “bunches” included in the set in a playful, handwritten font. Because I have a bunch of flowers on this card, I thought this would be a fitting sentiment; so I white heat embossed the greeting onto a scrap of yellow cardstock. 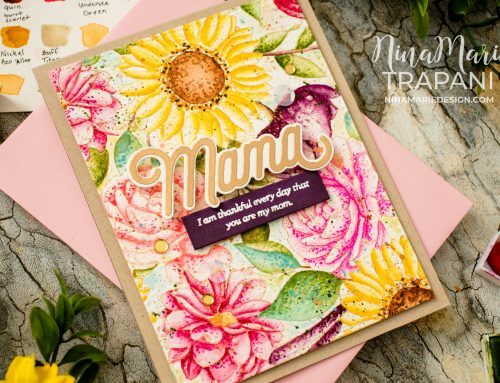 Finally, the purple card base behind my watercolored flower panel was heat embossed with the Simon Says Stamp Lattice Grid background stamp. 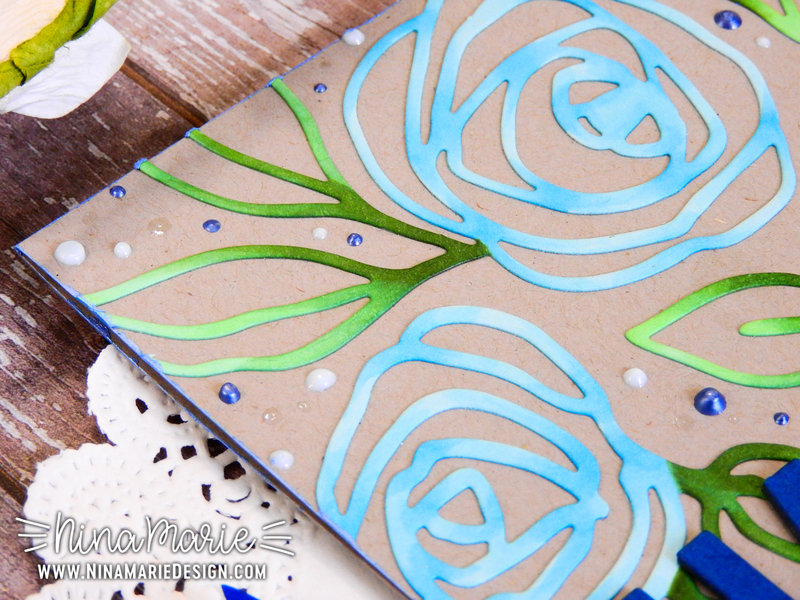 One more detail was the addition of a few dots of Nuvo Jewel Drops in the Sea Breeze color. One more card to share! 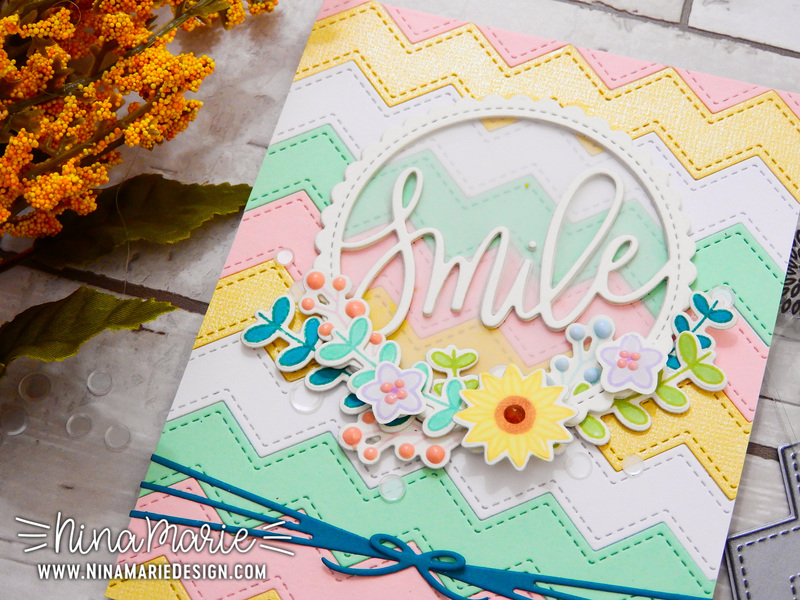 This one features a few Altenew products that I really like; the Rose Filament die set and the Birthday Greetings stamp set. I die cut the flowers from scraps of white cardstock and colored them with Copics. I used B00 and B02 for the flowers and YG11, YG45 and YG67 for the leaves. 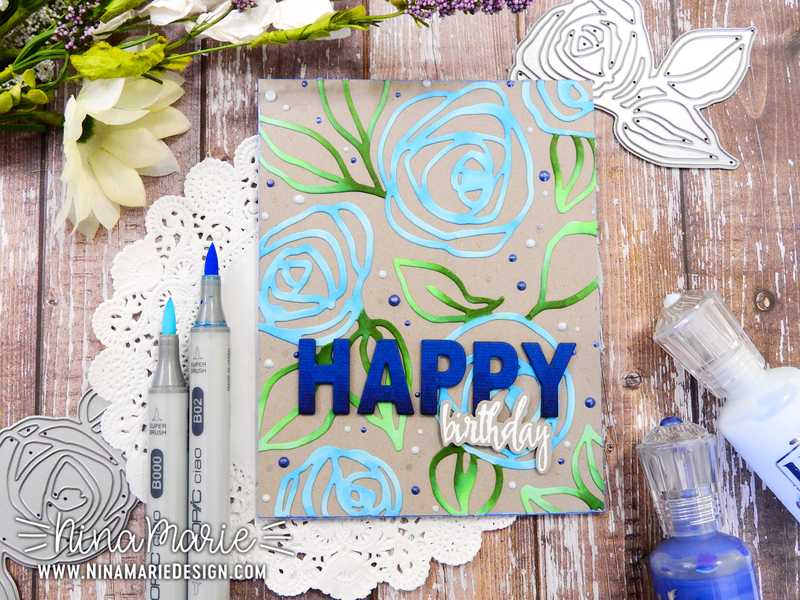 With the Your Next Stamp Bold Happy Birthday Words die set, I cut the word “happy” from navy blue cardstock about 4 times and layered the pieces together. On the top layer of stacked letters, I added a bit of shading along the bottom for a bit of shading; giving the effect of an ombre. 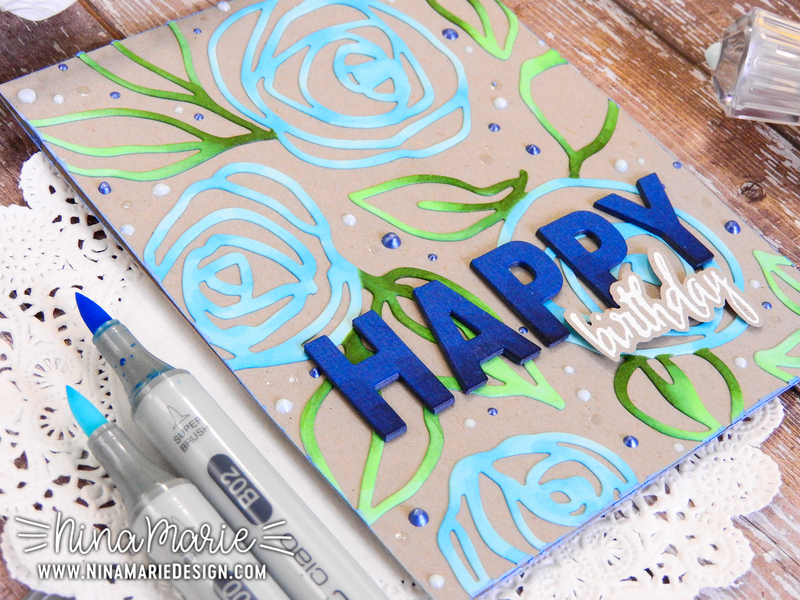 I white heat embossed a supporting sentiment using the Birthday Greetings stamp set and popped that up onto the card with the word “happy”. 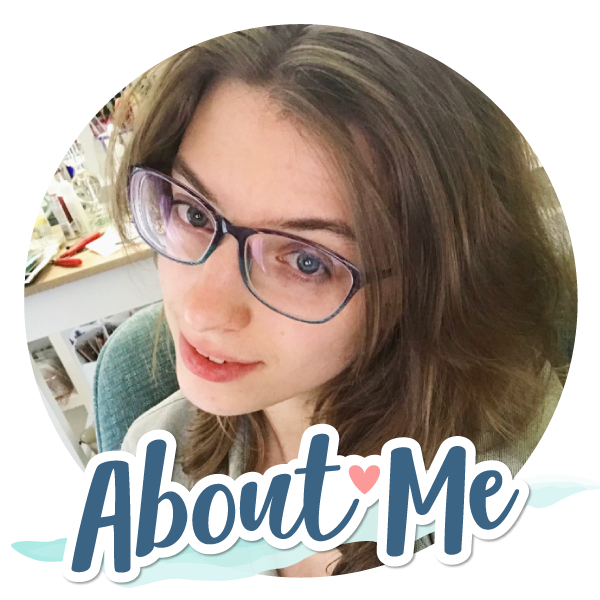 A big thank you again to everyone for being so supportive and following my word… I hope you will be entering the giveaway! I will be back again soon with more to share… until then, see you soon! I always enjoy your videos when you appear on camera. It makes it more personable! Congrats on the 8K subscribers. Such a wonderful selection of cards. I really need to give my Zigs a proper work-out. Congrats on 8K YouTube subscribers.